The fall of Troy, the wanderings of Aeneas, the descent into the underworld -- these phrases from Virgil?s seminal story continue to resonate more than 2,000 years after he wrote it, and Penelope Lively retells this timeless tale with pitch-perfect pacing, poignancy, and drama. The story begins with Aeneas escaping from the sacked city of Troy with his son and father and an important task given by his mother, Venus: He must find a new home for his people. Readers accompany him on his adventure and danger awaits him around every corner. He battles monsters and giants, the elements, and makes a terrifying descent into the underworld where he is allowed a glimpse into the future. Ian Andrew?s illustrations evocatively interpret the mortals, gods and goddesses, and the epic backdrops of this classic tale. 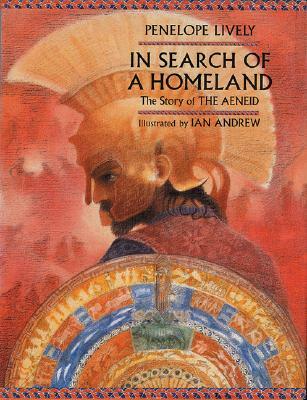 This accessible and enthralling introduction to The Aeneid takes its place alongside Rosemary Sutcliff?s classic retellings of Homer?s Iliad and Odyssey. Included are a Latin pronunciation guide and a map of Aeneas?s extraordinary quest.